I’ve started a new painting, in the last couple of days… and surprisingly enough it’s based on one of the Sylvia photos taken last week, after I noticed a lovely curved compositional line in one of the photos. I’m calling the piece Cat, Owl, Pussycat. It’s taken a fair amount of Photoshop work on the initial image, and while doing that I came to the conclusion that it has to be done in oils. Why? Dunno, just that intuition thing again — not that it’s always right. 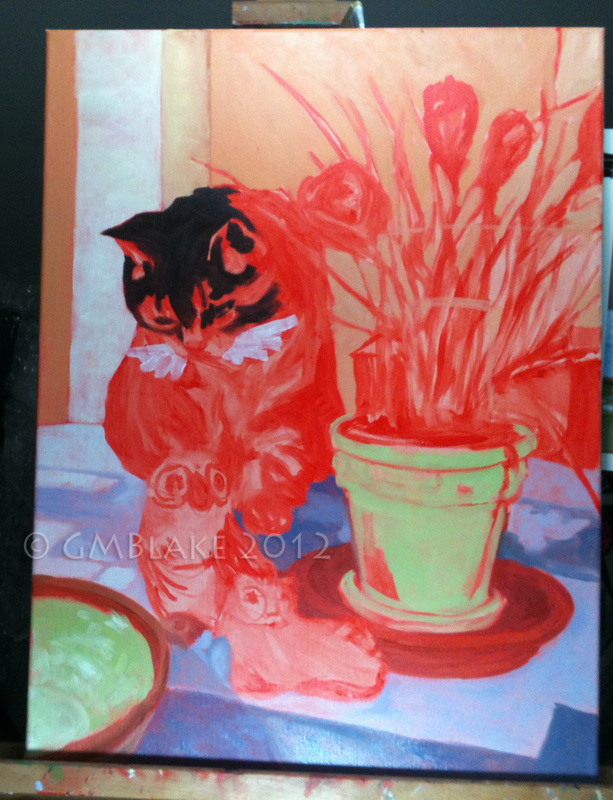 So here are the first two stages of Cat, Owl, Pussycat – the underpainting in cadmium red, and initial color block-in. Started to block in the Cat, but realized that if I blocked in the whiskers first, in white, I’ll be able to scratch back to it in successive darker layers for a nice, subtle look. Some Liquin in the medium, but it’s still drying more slowly than I’d like, so I’ll take the opportunity to finish up Blue Eggs, Silver Bowl and get started on Barn Owl, Winter Moon. More on those to come! 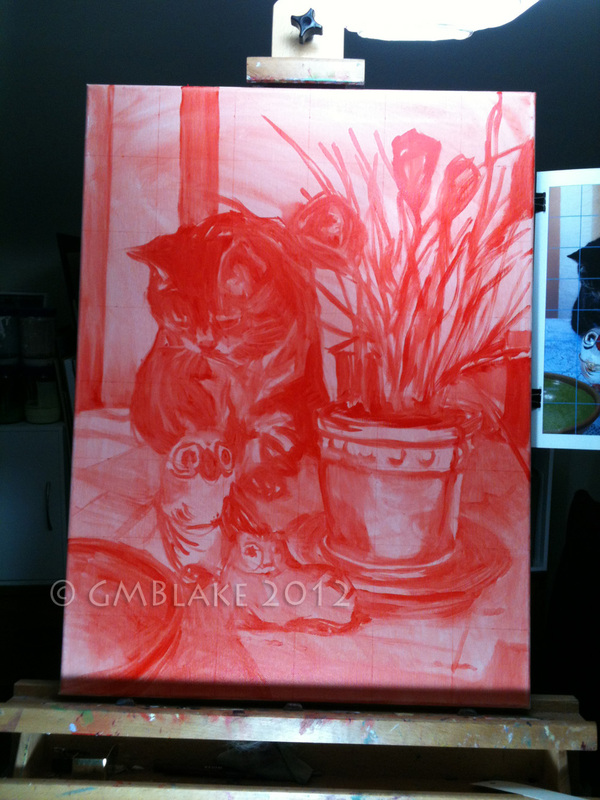 Looks like a dandy first and second step for what should be a great painting!